Screen icon Tony Curtis ("The Vikings") blends hard-hitting toughness and humor as a Marine who must battle Japanese soldiers, private demons and fellow Marines in this gripping World War II saga. 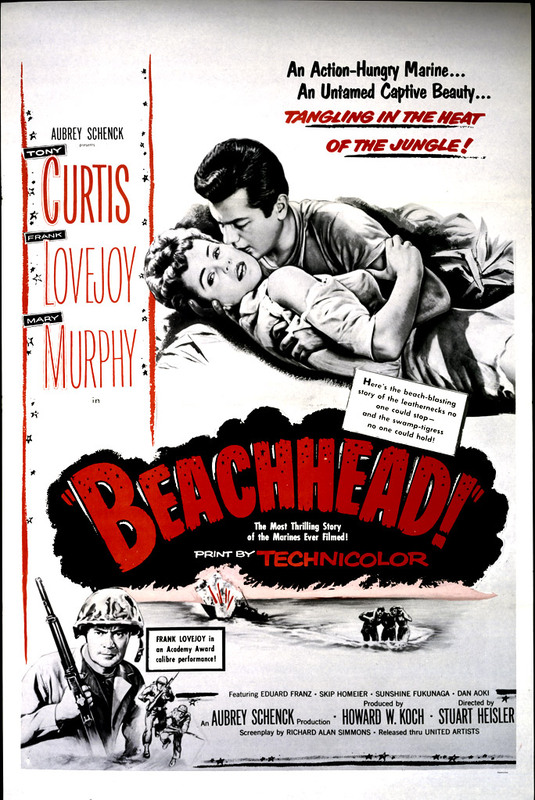 Bristling with suspense and rugged action, "Beachhead" is a classic war drama that delivers plenty of emotion-stirring heroics. Four Marines embark on a hazardous island mission to verify reports about a secret Japanese minefield. The intelligence comes from a French planter - who may or may not be an Allied spy - and his beautiful daughter. If their story is true, can the Marines outgun their enemies, make it through the treacherous jungle, and rendezvous with American forces in time to prevent disaster? Hollywood veteran Stuart Heisler ("Along Came Jones") directs this gripping war adventure featuring strong performances by Frank Lovejoy ("Top of the World"), Mary Murphy ("Sitting Bull"), Eduard Franz ("Outpost in Morocco") and Skip Homeier ("The Lone Gun").